Corporate Gifts New Zealand Unique NZ. 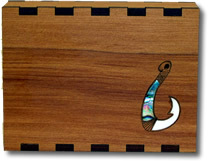 We have a very good range of New Zealand Corporate Gifts. 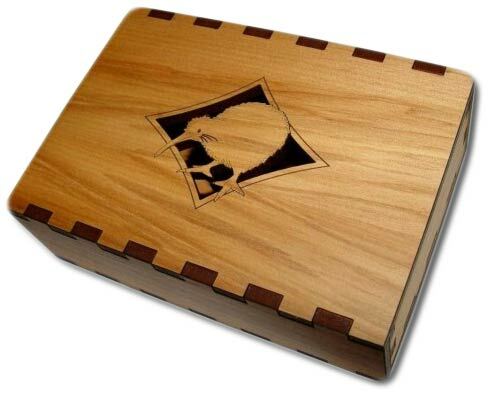 New Zealand Made Chocolates to All Black Ties, this is a great range of affordable corporate gifts. 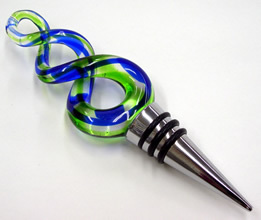 The wine bottle stoppers are the perfect gift for any executive or wine connoisseur. Corporate prices for larger quantities are available, please send an email enquiry with the product you are interested in and the quantity required, and a quote will be supplied via email. Our corporate gifts are available for purchase online and can be delivered across New Zealand and around the world. These two coasters can split to become four. These coasters come in a descriptive box. 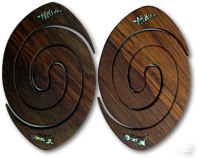 This one has two separate tablemat's one inside the other. 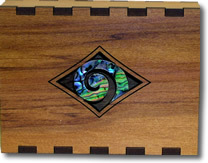 Includes the Paua inlay as shown. These tablemats come in a descriptive box. 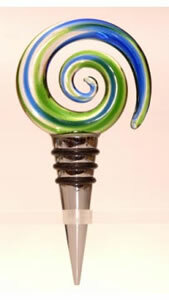 This wine bottle stopper has a strong steel base with rubber where the bottle makes contact and has a glass ornament of a spiral on the top. It is 15cm long. This wine bottle stopper has a strong steel base with rubber where the bottle makes contact and has a glass ornament of a double Twist on the top. It is 15cm long. New Zealand Map inlaid into one end. Shows samples of different NZ timbers. 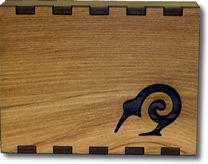 All of our corporate gifts are themed on New Zealand as we are a New Zealand Gift shop selling gifts and souvenirs. 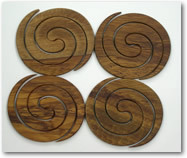 If you are after something specific that you cant find on this site just send us an email and ask. Often we are able to obtain items that are not on our site or that we don't carry here in store.